Find travel insurance for over 80 with medical conditions now. Get a quote online now for insurance that can cover your travel when you are over 80 now. Travel insurer that specialises in covering a wide range of medical conditions for all ages. Cover for long, short term and annual trips. Save 5% through us, discount automatically applied both online and over the phone. Get screened and a quote online or call 0345 90 80 121(Mon-Fri 9am-5.30pm, Sat 9am-4pm). Travelling abroad might not seem so easy for people who have pre-existing medical conditions. 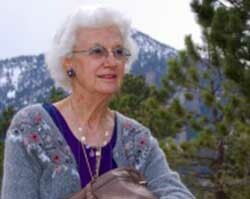 It can be even tougher if you are over 80 with a medical problem and looking for insurance before you travel. However, travel insurance for over 80 year olds with medical conditions is available to buy at affordable prices. Get a quote today so that you can stop worrying and enjoy your travels to the fullest. The main benefit of this type of insurance is that it allows travellers who have pre-existing medical conditions to go abroad with peace of mind and without having to worry about extra medical costs in case something happens. With this service, the over 80s are free to enjoy themselves as any other person on holiday does. How expensive is travel insurance when you are over 80 with a medical condition? For a certain price, travellers with specific medical conditions will be able to travel abroad knowing that if anything happens they are covered and have an insurance company supporting them. How much it costs depends on your individual circumstances, where you are travelling to and what your health issue may be. However, the lower prices and premiums could be found simply by shopping around and comparing travel insurance with medical conditions. Annual multi trip policies are few and far between when it comes to travel insurance over 80 with medical conditions, but there are plenty of companies who will offer single trip policies.